How passed the second part of 2018 for Paytomat in a nutshell. As early as next week some huge and important news is waiting for you. 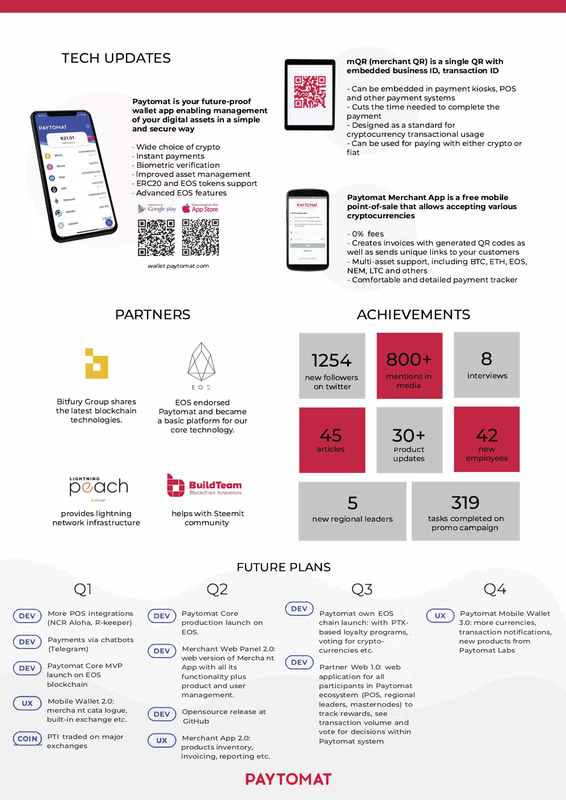 Thus, we decided that it would be a good idea to remind you of all the milestones Paytomat went through in the second half of 2018 and share the results with you. 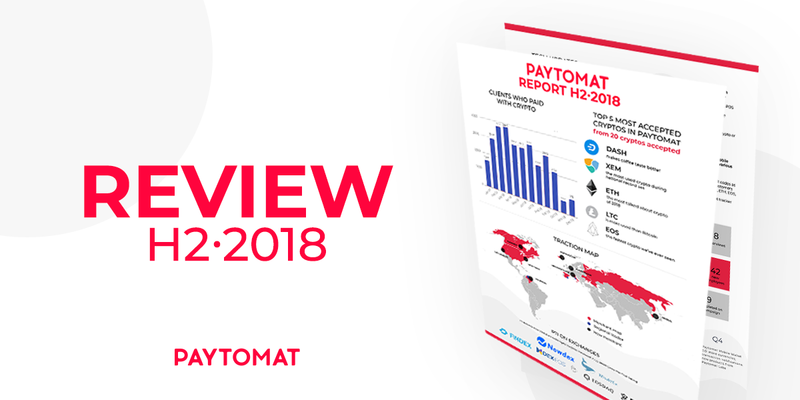 We are pleased to present you H2’2018 two-page report. As you can see, we tried to group all the essential information and avoid over-detailed presentation — just likewise it was with the first report. By the way, you can compare these two pieces and see how far we’ve come since the beginning of last year. Here is the H1’2018 report. Concerning numbers and gains, nothing really extraordinary revealed. Paytomat grows steadily and gradually. 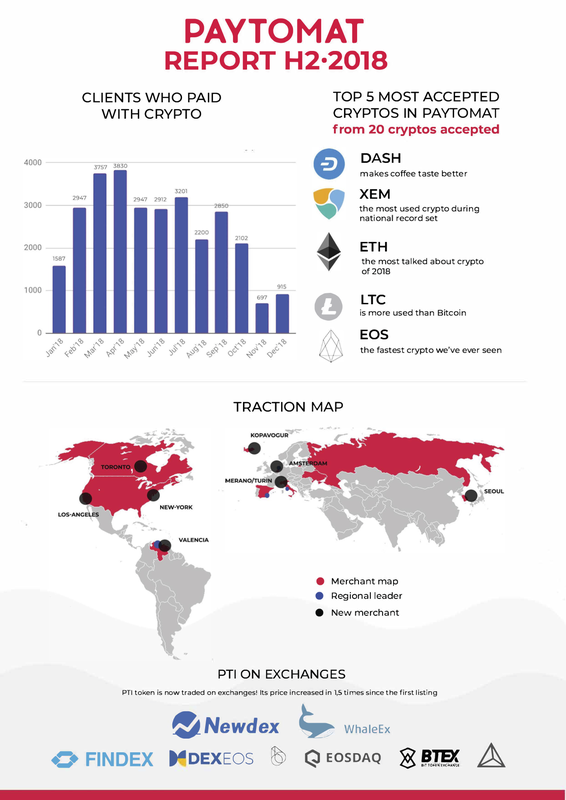 New merchants emerge, we appear on new continents and enter into important partnerships with the global crypto-community. In general, we do everything that we initially talked about — Paytomat discovers the blockchain world and its advantages for the vast masses. On this positive note, it’s all for today.